Science is awesome when you are 3 feet tall! 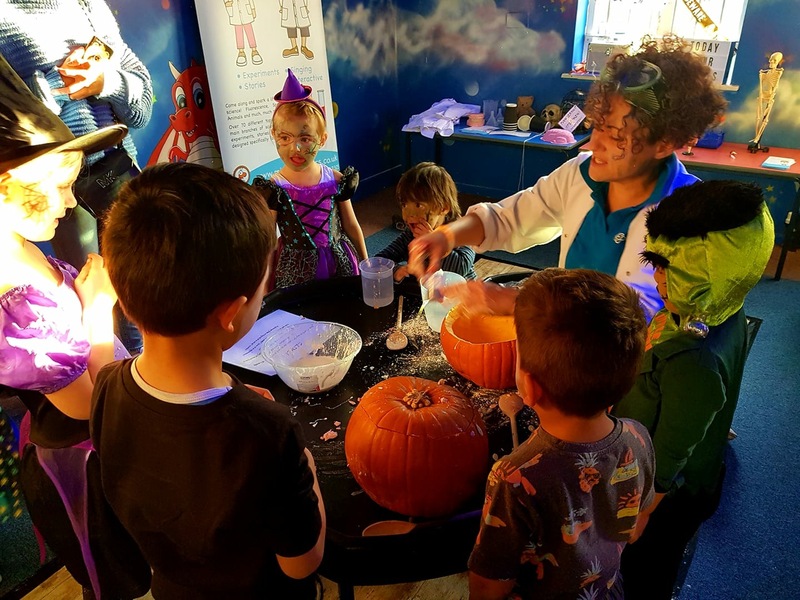 In preparation for this Halloween, Mad Professor Ilona took over the Spooky Science Lab at the Hocus Pocus Indoor Play Centre Halloween Party in Beeston. Little ghosts and ghouls joined in making gooey slime in pumpkin cauldrons, and mixing amazing colour changing potions. Only the brave entered the creepy dark den, and budding Frankensteins built monsters from scratch using only cogs and gears! 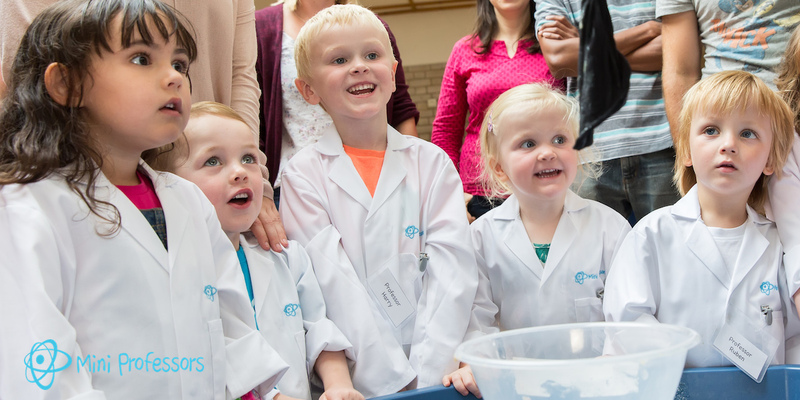 All of our ghoulish experiments were adapted from our amazing classes, and have been designed to introduce little witches and skeletons to science in a fun and engaging way! It's so easy to adapt experiments to fit in with Halloween and get your kids involved! Just carving a pumpkin with your little one is an experiment! What will it look like inside? How does it sound when you tap it? What do you think the seeds are for? How does it feel inside? How does it smell? So many things to talk about and explore! And why just use that pumpkin to carve a face?! Use it as a cauldron to mix up some super freaky slime with cornflour and water - is it a solid or a liquid?! Or maybe you could carve a face and make a volcano burst out of your pumpkin's nose using a simple chemical reaction with vinegar and baking soda! We love Halloween and can't wait to do have more spooky science fun!